I enjoy fishing almost as much as I enjoy birding. This is not a surprise as both pastimes tap into my primeval desire to hunt. I would argue that most Homo Sapiens males – and many females – have this desire in them. Although for some, it is buried deeper than others. In many cases, myself included, the desire manifests itself in less apparent ways than going out and killing something for the trophy wall. I don’t need to kill something to feel the rush of the hunt. For me there are few experiences more satisfying than releasing a fish that has put up a great fight. The one exception would be the thrill that birding brings. You see for me, birding is all about the quest. The quest to see a particularly challenging species is something I dream about, plan for, study and rave about. It consumes me. The anticipation of each birding adventure gives me sleepless nights, makes me talk in fast gibberish and sends tingles up my spine. And every so often the experience is heightened by witnessing a challenging species doing something extraordinary, giving me a unique perspective into its shy life that is, for the most part, hidden from human eyes. 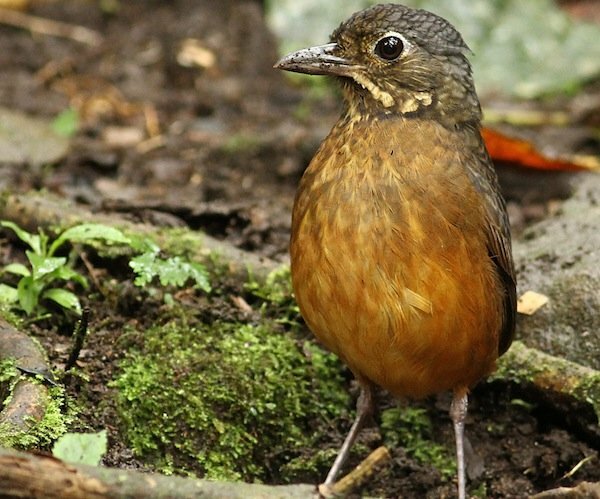 Enter our quest to see the Scaled Antpitta at Tandayapa Lodge in Ecuador. Most antpitta species are very tough to see. However there are places where, with a little human ingenuity, one can see even very rare species with some ease. Just ask Corey or Mike. But most antpitta species are a severe birding challenge. And the Scaled Antpitta, although a widespread species, is no exception. I had asked Iain Campbell, the owner of Tandayapa Lodge, about the possibility of filming Scaled Antpittas whilst we were there. His reply was that it was certainly not guaranteed but that a bird had been seen recently from the lodge’s bird hide. 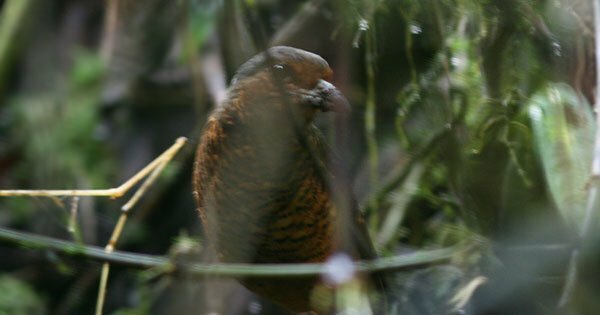 In fact, a Giant Antpitta had even been recorded coming right into the lodge buildings but this bird had not been seen recently. So it was with little expectation that I followed Iain one morning to the hide. To me, birding from a hide or blind, is one of the most underestimated birding experiences that a birder can have. I love bird hides more than I love chocolate. And I don’t mean the nasty chocolate we get here in the United States. I’m talking about the good stuff. The stuff we get in South Africa or the UK. But I digress. Bird hides are fantastic! We had been sitting in the hide for about half an hour just enjoying the sounds of nature and the solitude. Then I saw it, a Scaled Antpitta flicking leaves from side to side as it approached the hide. After watching the bird for a few minutes it was immediately apparent that the bird was collecting food rather than eating food, a subtle but important difference. We sent Jose in to sit and watch the birds and try figure out where they might be nesting. Later that day Jose notified us that his patience had paid off. He had found the nest. So we went in, located the birds again from the path and set up our cameras at the nest…. These are the rewards of birding. Those of you wanting an unprecedented birding experience should head down with Tropical Birding to Tandayapa lodge, Ecuador. You never know what surprises await you. You describe the “quest” feeling so well. Happy to see that you got such an amazing dose of Scaled Antpitta! So widespread for an antpitta yet soooo tough to see.